Aristia will try to become the first filly in more than a decade to claim the VRC/Aust Oaks double. 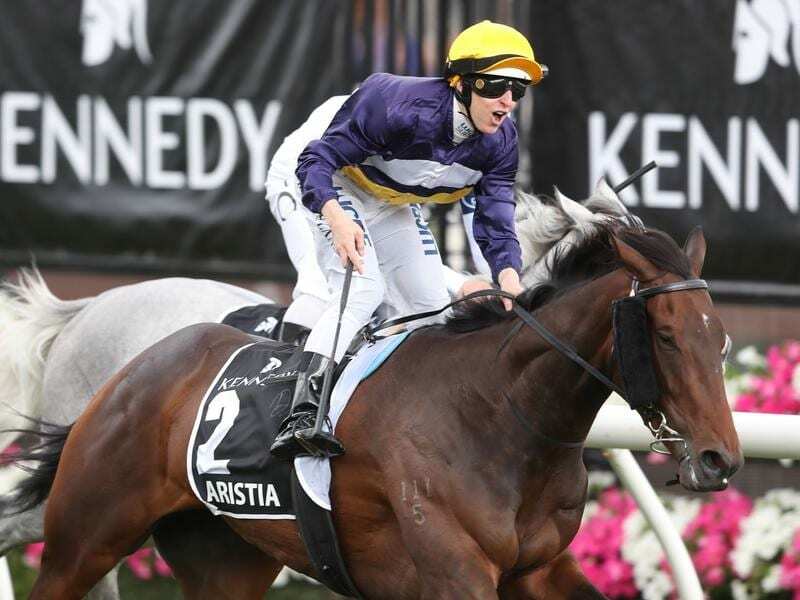 Connections of Aristia are hoping rain steers clear of Sydney this week to give the three-year-old her best chance to become the first filly in more than a decade to claim the VRC Oaks/ATC Australian Oaks double. Aristia capped her spring preparation with wins in the Group Two Wakeful Stakes and VRC Oaks on good rated surfaces at Flemington. She has finished third in all three starts so far this autumn building towards Saturday’s Group One ATC Australian Oaks (2400m) at Randwick. In her two recent Sydney starts the Mathew Ellerton and Simon Zahra-trained Arisitia has struck unsuitable heavy tracks when 5-1/4-lengths behind Verry Elleegant in the Phar Lap Stakes (1500m) and four lengths astern of the same filly in the Group One Vinery Stud Stakes (2000m) last Saturday week. The Chris Waller-trained Verry Elleegant is the $2 favourite for the Oaks while Aristia is on the third line of betting at $7. “I think she is going better than in the spring but we are not getting the track that we probably need,” Zahra said. “And obviously Verry Elleegant is going better. She’s flying. “Verry Elleegant might just love the wet and come back on the dry and be exactly the same, or she might just love the wet and then we can show our turn of foot on drier ground. “So we’re hoping for a drier track on Saturday and if we get that, I think she will be competitive. “(Jockey) Damian Lane said she just hates it. “She is running thirds on bog tracks that she doesn’t like. So you’ve got to give her some credit. Saturday’s meeting at Randwick, the opening day of The Championships, was run on a Soft (7) track. Serenade Rose is the last filly to complete the Oaks double in Melbourne and Sydney, achieving the feat in 2005/06. Flemington-based Ellerton and Zahra brought Aristia home to Melbourne after the Vinery to continue her Oaks preparations which will be topped off with a gallop on Monday at Werribee.